Instagram Live, Facebook Live, Twitter, Snapchat Stories, statuses–think of the endless features on social media websites and applications that allow users to stream and post in real-time showing what they are doing in the moment, wherever they may be, all around the world. Crazy right?! Seeing what people are doing within milliseconds of them posting?! Isn’t it awesome to see what people are doing right now? Well in reality, they aren’t doing that right now! Although these features and sites might have been made with the original purpose of having users post in real time, how many users, whether that’s an influencer, company, or an average college student, actually post when the photo is taken or when the joke is said? There is a lot of planning and strategy that goes into posts, most of which is unseen from the average person. Take Instagram, for example. At its start, users were supposed to upload pictures of what they were doing in the moment, add a quick filter, and post with a few hashtags and a small caption. It is in the name, after all–Instagram. This application, specifically is one of many that have shifted from “in-the-moment” to “a little bit down the line to fully engage my friends and followers.” Now, there are “prime times” for posting, people reach out to friends for caption assistance, and users edit photos on separate applications–sometimes more than just one. Much thought and effort goes into posts, sometimes more than most (*me*) would like to admit. So is the social atmosphere changing from more instantaneous sharing to more planned sharing? As an avid user of social media, the shifts in methods for posting has visibly changed over the last few years. Certain applications and sites have carved their ways out as instantaneous social sites, with others focusing more on the brand-building aspect. Snapchat, Twitter and FaceTime most notably find success because of their instantaneous usages. Twitter allows us to follow breaking news and practically watch sporting events without a television, FaceTime connects us with not only a call, but also a face, and Snapchat lets us take goofy photos in real time to chat with our friends. Although Instagram and Facebook do have a few features showcasing their instantaneous capabilities, most posts on these two social sites take some planning and strategy. Businesses and tools are even emerging based on the planning of social media and social posts. For instance, this past summer I worked for Jack Morton Worldwide, an advertising and brand experience agency. One of my main clients was Love Has No Labels, an Ad Council campaign, which utilized social media to spread and celebrate messages of love and acceptance for the six discriminated classes–age, disability, gender, race, religion, and sexuality. Over three different social channels, I strategically planned out the campaign’s posts, some of which were planned months in advance and were discussed with our creative, strategy, and account management teams before full approval. 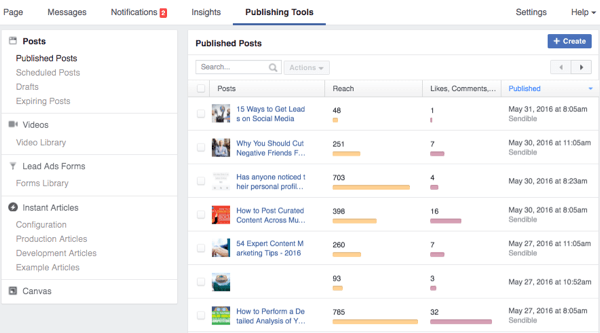 I utilized Facebook’s Publishing Tools, Hootesuite, and Twitter Studio to schedule and plan when seemingly instant posts would actually roll out. Once posted, we would track engagement, analyze the power of ad spend, and apply new findings to future posts. Surprisingly, many of these social sites give helpful tools and capabilities to plan and analyze posts, especially to users and companies lucky enough to be considered a page. As more businesses and influencers use social media as a way of advertising and making income, they care more about the strategy behind their posts and their ability to produce the most engaging content, furthering them from being instantaneous and in-the-moment. One of the most interesting facets of social media is the strategy behind it, and I cannot wait to hear more about how people and companies utilize different ways of thinking to engage friends, followers, and fans digitally and through different social channels. To my surprise, the amount of posts we see and engage in are thought about and planned strategically significantly more than one would expect. Really interesting article on how to use the social media analytics! As a matter of fact, by reading your blog post I’ve activated my twitter analytics and there are really insightful information. It’s interesting how insightful the social media analytics are when marketing spending is often the first thing that gets cut in budgets. I totally agree with everything that you said about social media being strategic. It’s quite ironic that even Snapchat, something that is meant to be a quick way to share what you are doing with your friends, is strategically used to portray your life in a certain way. There are filters, stickers, geotags, and drawing tools that many people use to enhance their Snapchats. I’m guilty of spending too much time on Snapchat myself, but I think that it’s important to keep in mind that social media analytics can be used to our advantage! Nice post! One of the challenges to the building of “personal brand” is that many people think of it primarily as pushing content, whereas it’s more about building relationships for most of us. Totally agree that every post needs a strategy and planning. I heard from one of my friend who works in public relations saying that the best time to attract eyeballs is around 18:00-19:00 when people are on the way back home from work and the best time to avoid eyeballs is around 3:00-4:00 when everyone is in sleep. Companies in this new age should consider how to strategize and plan the new marketing tool – let it be a part of the whole company brand management.